Note: Commentary on this page was written in 2004, so it does not reflect documentaries on kamikaze pilots released since then. Battle scenes dominate English-language documentaries on Japan's kamikaze pilots. Films generally devote little time to the feelings, opinions, and motivations of the pilots who crashed their planes into Allied ships. Sometimes the scripts will make vague references to mysticism and spiritual fervor, but these explanations provide little insight into the kamikaze pilots. Most documentaries also do not give much consideration to firsthand accounts by Allied soldiers about the terror and destruction caused by the attacks. The predominant images in documentaries are burning and smoking ships, gunners shooting at incoming planes, ack-ack fire in the sky, planes ablaze falling into the water, and ship crews trying to put out fires caused by the crashes. The first kamikaze attack documentary, The Fleet That Came to Stay (1945), highlights combat photography by the U.S. Navy. Two famous World War II documentary series, Victory at Sea (1952) and The World at War (1973-4), contain segments on Japanese kamikaze attacks. However, these two series do not have sufficient details to provide an understanding of the motivations of the pilots and the reasons for the Japanese military's use of suicide attacks. The 1963 weekly television series Battle Line had a program with a former Japanese kamikaze pilot and an American communications officer on a destroyer hit by two kamikazes off Okinawa. This program gave viewers a glimpse into the feelings of two individual combatants during the kamikaze attacks and provided an historically accurate summary of Japan's kamikaze operations during the Battle of Okinawa. 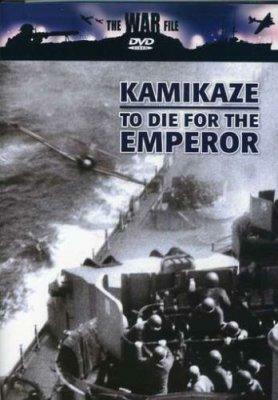 Timewatch, the long-running BBC history series, broadcast a program in 1995 entitled Kamikaze. This documentary features interviews with several Japanese and American veterans, who provide an exceptional portrayal of the feelings of Japanese kamikaze pilots and the Americans in the US Navy who faced them in battle. The program focuses on the ohka, a rocket propelled glider bomb, and the kamikaze pilots who trained to fly this suicide weapon. The many fascinating firsthand accounts in the interviews of Timewatch: Kamikaze make it the best English-language documentary ever produced on kamikaze. However, the BBC has never released the program for commercial sale, although it has been rebroadcast on The History Channel. Risa Morimoto, an independent film producer in New York City, has completed a documentary entitled Wings of Defeat. In much the same way as the BBC's Timewatch: Kamikaze, Morimoto's film includes interviews with several former kamikaze pilots. This excellent documentary will be first shown to the public at the Hot Docs Film Festival in Toronto in late April 2007. Several English-language documentaries on Japanese kamikaze or other types of special (suicide) attacks have been released since 1980, but only three of them succeed in providing some insight into the thoughts and emotions of battle participants. Sinking the Supership describes the suicide mission of the battleship Yamato and includes interviews with two survivors of the ship's sinking. Kamikaze: Mission of Death, a high-quality film produced by HBO Video, presents several personal stories that allow viewers to better understand the kamikaze pilots. Kamikaze in Color includes many short quotations from both Americans and Japanese who fought during the war. These help give viewers a glimpse into the feelings and motivations of the men on each side. Most producers of films about kamikaze operations do not give sufficient attention to historical accuracy, and many try to sensationalize the attacks. Even the excellent short documentary Kamikaze: Mission of Death produced by HBO Video has a few overstatements. The short scripts of historical documentaries lead to generalizations about historical events and kamikaze pilots. Most documentaries use the same film clips from the U.S. Navy and National Archives, and many times the film clips do not go with the narrative. For example, many times a documentary script will refer to a specific ship being hit, but the clip on the screen does not match the event being described. The following list ranks documentaries in terms of the following factors: historical accuracy and completeness, insights into feelings and motivations of participants, images, script and narration, and sound effects. Please note that this ranking refers to the documentaries' coverage of special attack forces, including aerial kamikaze attacks. Some documentaries, such as The World at War and Victory at Sea, have a very broad scope, so this listing is not meant to be an evaluation of the entire documentary series. Only the first six films listed below are recommended for learning the truth about Japan's kamikaze and other special attack corps. The others have significant shortcomings in their coverage of special attack forces, especially with regard to completeness and historical accuracy. The World at War, Victory at Sea, and Typhoon at Okinawa (part of World War II with Walter Cronkite) have reached by far the widest audience, including students. After being shown on commercial television, these series came out later as videos, and recently DVD versions have been issued. Battle Line was broadcast on commercial television in 1963, but the videos released in 1991 probably have not reached too many people. PBS first showed Sinking the Supership in October 2005 and released a DVD of the show at the same time. Timewatch: Kamikaze, although originally shown by the BBC, has also been rebroadcast on The History Channel, but the BBC has not yet made available a DVD of the program. It is difficult to determine the total viewers for the other documentaries listed above, but most probably they have been seen by very few people. Great Blunders of World War II, Kamikaze: Mission of Death, and Carriers: Kamikaze may have reached a somewhat larger audience since these three shows were shown on cable television.